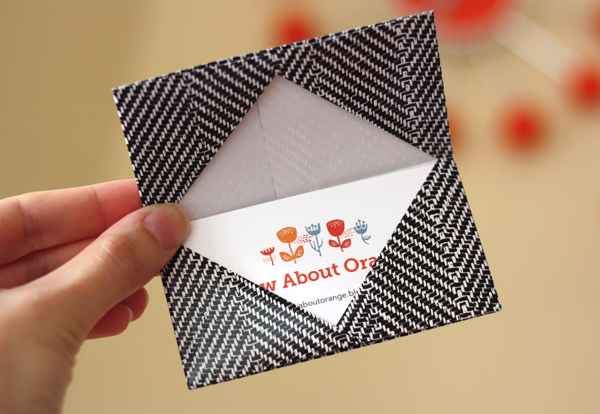 Here's a quick and easy origami project: a business card case or gift card holder. Use patterned gift wrap (I like heavier-weight wrapping paper for a sturdier case), graph paper, a paper bag, magazine pages, or origami paper. 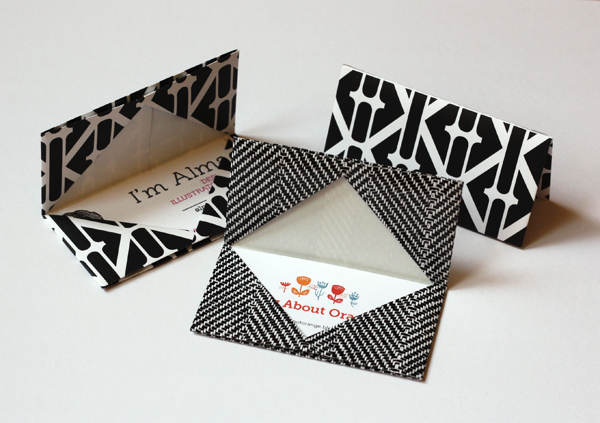 Decorate the case with washi tape or stamps for a cute way to present gift cards. It will look like you put a lot of thought and effort into a gift that was probably the easiest thing you could buy. Slacker. Just kidding. Sometimes gift cards are the very best present. To make a holder for a standard 3.5 x 2" business card, start with an 8.5" square of paper. 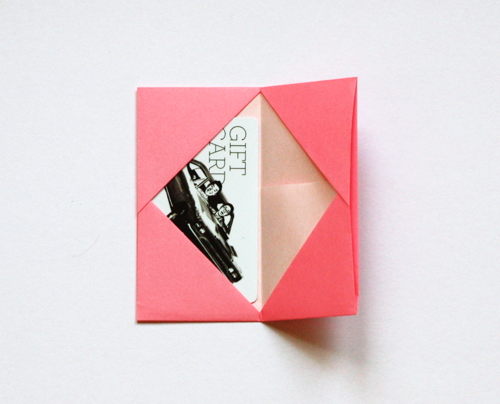 For a standard gift card, use a 9" square. Place the paper pretty side down. Fold the sheet in half vertically and open it back up. Fold the left and right edges inward to meet the center fold. Open the paper again. 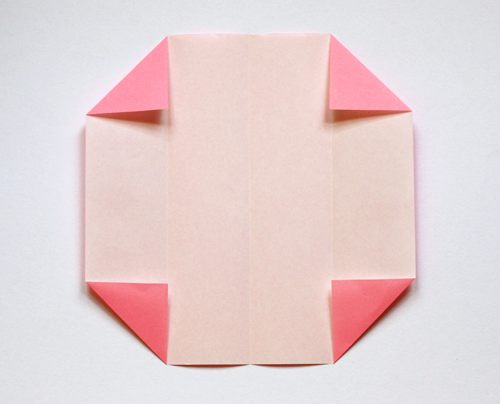 Fold each corner inward so that the corner points meet the nearest crease. Close the left and right flaps. 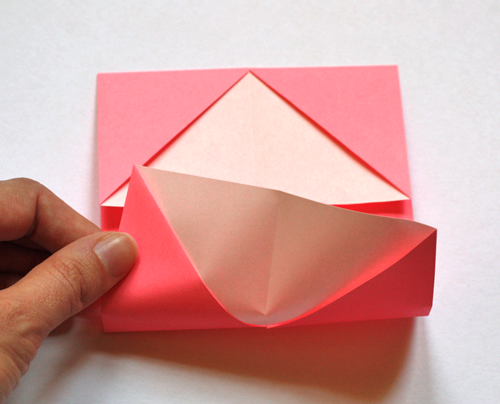 Turn the paper over and fold the top down so that the exposed diagonal edges meet precisely at the fold. 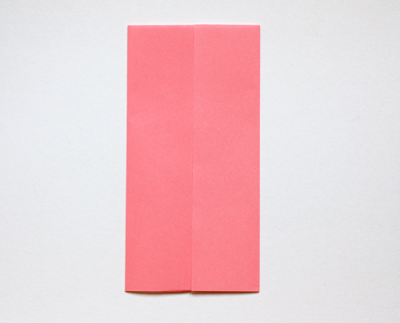 Fold the bottom up in the same way, tucking the bottom edge into the diagonal flaps. They should overlap slightly. Insert a card to make sure it fits, then fold the case in half. All done! To make a fabric version of this case, see this post. Woah, hit enter early. Let me finish: "I was going to buy something like this, glad I can make it instead" :)"
Yeah, skip the trip to the store! Love this idea! Can't wait to try it out. This is awesome! I was always a little intimidated by origami, but this seems easy enough. My current business card holding strategy is just throwing them in my purse, but that is not a good solution. Thanks for sharing! Aw, sweet! And endless possibilities for designs! Jessica, I love this! I just bought some of those mini business cards from MOO and this will be the perfect holder. Freakin' fabulous and easy peasy! 79First project I've seen where I actually want to pull out the origami paper my husband brought home from Japan and make it with my girls. Thanks! This is a great tutorial! Love it! I love this, thanks so much for sharing its just what I needed for my business cards ! Love it! I always love cool scrapbooking papers but never know what to do with them, besides sticking photos to them! Also can I just say I've been visiting your blog for over 2 years now and I love it! I love all of the fun tutorials, fonts and games you post! just fantastic, love it.i tried it, looks great. What I like is you can use all kinds of great looking papers, what ever you like, even diffferent kinds of papers would work! Great! My boyfriend just ordered business cards, I know he'd like this! :D I'm so pleased i found this, I've been looking for graduation gifts for my husband and his friends, I'm going to make them one each with their name and logo :D thank you so much for posting this. This is perfect! Our eldest just graduated from high school and is seeking employment to help pay for college expenses next semester. A number of places have requested business cards so they can contact him in the event someone calls in sick. This will be the perfect for him to carry them! just done it!!! so clever and nice idea!!! what a nice idea, I really like it. I'll pin it. I love your blog!Nice idea. 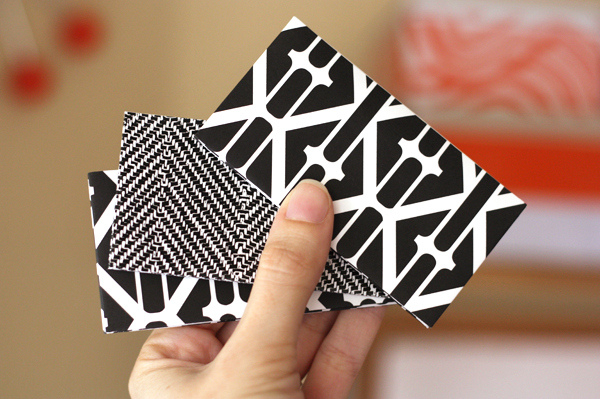 Just made this in two different sizes as the first one didn't fit my Moo cards BUT! Before the final fold in half...it now makes a great photo holder! Love How About Orange soooooo much! They are so cute, I'm definitely doing this! Thanks for such a useful idea. It looks very cute. I just learnt some of similar craft works when i was kid. thanks for remaining me of it. Wanna make my business card holder since last year and still didn't. This is a simple, practical and cute solution! Thanks! Were did you find that great pattern fabric. It's really cool. Thanks. These are heavy wrapping papers, not fabrics. I bought the big print at Old Navy a few years ago, and the small print is from The Container Store. I love the chart paper! Great post Thanks for reminding me to examine where my heart is at, and not just when it comes to blogging, but in my daily activities. You amaze me. Thankful for you! wonderful! so easy, mine looks great, thanks! 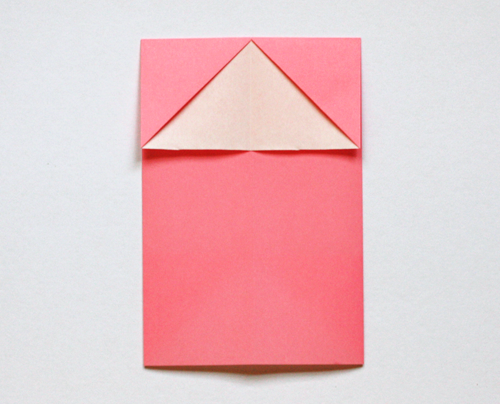 So cute and simple, will try and make one for my co intern as we got are new business cards! This was awesome!! I just made it, it was super easy and SO cute! 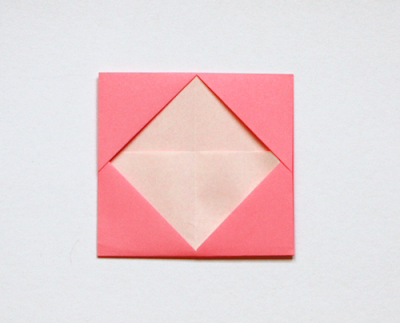 You can crank those things out by the dozen once you've memorized the folding steps! 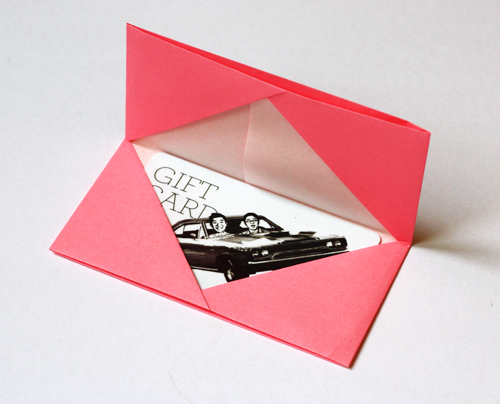 How big of a piece of paper do you start with so a gift card fits inside? That's pretty neat! Thanks for passing along the info. This is exactly what I was looking for. Much better than buying anything and I can custom print whatever I want on them! Any ideas on how to keep these suckers closed? Glue dots don't stick to the paper stock I am using. Do you mean to "latch" them closed? Or just have them naturally sit closed (mine do). This will be fantastic for Christmas! Thank you so much for the great tutorial! Yes, to "latch" them closed. I am putting anywhere between 20-30 business cards in these (I am using 11" square paper to allow for the thickness of that many cards and am putting the cards in both flaps) and a way to securely close them would be fantastic. I thought of using an elastic but thats not appealing and takes away from the elegance of this holder. Thanks! Hmm.... I'll think on it. Great thinking Hanne! That would be so cute. I better try that idea too. Thanks! These are SO perfect for Christmas. Thanks for sharing! Where do you get your papers from? 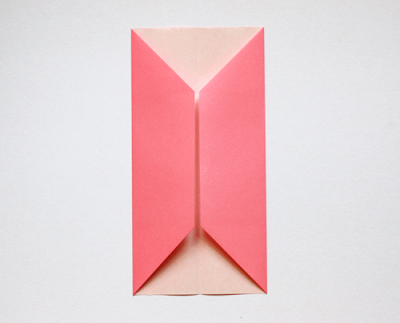 I have followed most of your origami posts and the papers are as lovely as the design. The black and white prints here are actually good-quality wrapping paper, but usually I order paper from Amazon. Will cardstock work for this or is it too stiff? These are so cute! If it's on the thinner side, it might work. 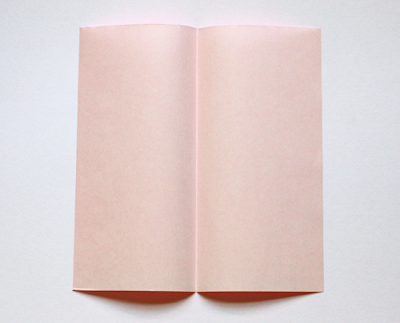 You might need to score the folds, though, to get a clean fold. Give it a shot! This is a great idea of a DIY to make to sell! Great for a starting craft business!!! Thanks so much for the awesome idea!!! Great idea... I was looking for a way to display a small stack of cards on a bulletin board without sticking a thumb tack through all of them.